Ecosafe are your dedicated expert plumbers in Poole. Whether you need help with a problematic boiler or plumbing conundrum or need advice and installation of a new boiler, we’re there when you need us. Ecosafe operate all around the Poole area. Get in contact with the heating and plumber experts. Our Gas Safe engineers work efficiently and reliably to bring you a complete choice of top of the range boilers. If you’re looking for new boilers in Poole, you’re in the right place. 10 year guarantee on all new boilers. Free advice – enabling you to choose the best boiler for your needs. Disposal service using safe and reliable means. Efficient booking – no long waits. Get your free quote for boiler installation or replacement. We are experts in boiler installation in Poole – your reputable local boiler repair service. Broken boilers, or ones not quite behaving as they should, are enough to strike fear into the best of us. Not just fear about warmth and hot water, but fears for gas safety, water leaks, and unfortunately, cost. We understand this. We, therefore, bring you a dedicated efficient and affordable boiler repair service, delivered by our industry-standard Gas Safe engineers. No hidden costs – We Quote, You Choose, We Deliver. Free advice – we provide you with all the relevant information you need, in plain English, to make the right decisions regarding your boiler. If your boiler is causing you to worry, we’re here to help. You can always call us for boiler repair in Poole. We’ll ensure your boiler worries are removed quickly, efficiently, and affordably. Call us now on 0333 939 0161. A variety of Care Service Plans to suit your requirements and budget. No call out charges and no hidden costs. Ecosafe Kitchen and Bathrooms: We’re not just boiler experts! In addition, we have an expert team of plumbers, designers, and joiners as well as our Gas Safety engineers. This combination of skills enables us to create and renovate bathrooms and kitchens. We use the best local and national suppliers to bring you the best in bespoke design which is both functional and beautiful. 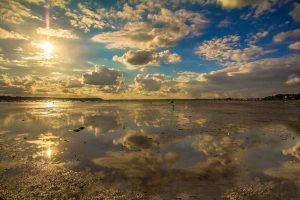 If you’re looking for a new kitchen or bathroom or some help with a plumbing problem large or small, then talk to us today about our Poole based services 0333 939 0161. 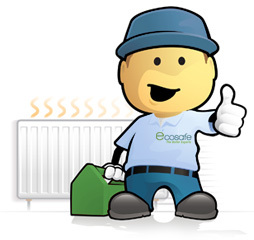 Ecosafe – Your friendly local boiler service from plumbing experts. 1How much does a new boiler cost? This is the most common question asked by our customers, we are able to provide a wide range of energy efficient boilers from many leading manufacters. Please give us a call and we can arrange a free site visit and discuss the best boiler to meet your requirements. 2Are your engineers fully qualified? Yes, all Ecosafe gas engineers are fully qualified, gas-safe registered and highly experienced. 3What is a combi boiler? 4What brands of boilers do we install? We install all makes and models of boilers but strongly recommend Vaillant and Worcester (which have received the top score for gas boilers in the Which? 2015 boiler brands reliability survey). 5How can I get a new quote on a boiler? Getting a free quote from us is simple, just give us a call and we will arrange a convient time to pop out to your site and give you the best quote on a boiler that is best suited for your requirements.